A very common set up for galleries is to order prints from one studio and frames from another and sometimes even mounting is done at a separate location. While it makes sense to use the best skills for each job and that has always been that way, it still poses a problem for you, especially working under time pressure. What happens when a your artwork doesn’t arrive in time for an event opening? When something is wrong with the print or frame and nobody is willing to accept their responsibility? What happens when the courier drops it? And how can you fix everything in time and within your budget? These are just a few of the very important questions that you should find an asnwer to before they happen – in the hope that they never will. Artproof is here to address all of those questions and challenges with Service Oriented Production (SOP). We have brought all the necessary skills for artwork production under the same roof, offering you a one-stop full service — scanning, retouching, printing, mounting, framing, packing, crating and shipping. We have come to this through years of experience in high quality print production, expanding our service to meet our customers needs. We suggest a workflow that quarantees quality and on time delivery. We can help with almost every step of the workflow — scanning, retouching, printing, mounting, framing, packing, crating, shipping — or can do just individual parts. In cases where the source materials are negatives, then you can either send those to our labs or we can pick them up. This is followed by previews of scans. The Second Step (Or the first step if the source materials are digital files). Test prints are made (~10x60cm stripes of enlarged image and an A4 size “thumbnail” of the image). The process of test printing can be made on-site in the lab, together with our print master. 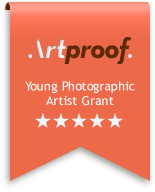 The 0.5-hour per image consultation and retouching is complimentary, included with the Artproof print service. In cases where you don’t want to (or can’t) wait on-the-spot, the proof prints can be delivered to you by courier. From file to delivery of the test takes 3 working days (within the EU) — if using our complimentary service. The tests are followed by a discussion with the print master about possible changes. When visiting lab, this is done on-the-spot, but in other cases the conversation will take place in the form of a video call (Skype, FaceTime) or a phone call. If further amendments are needed, then those will be implemented and a new set of tests will be created and sent out to confirm that they meet your expectations. If necessary, we make new test prints and repeat the process of consulting and testing until we have met your expectations. NB! In case the artist has the prints already, or needs / prefers to make them elsewhere, Artproof can arrange the pickup of those prints so they can be framed in our labs. Due to the manual mounting process, it’s important to take into account the fact that both technical and human errors, although rare, are possible. In such situations, Artproof will provide a reprint with no additional cost to the customer. Should the prints be made elsewhere, we kindly ask for a reprint from the customer and will arrange a pick-up service for that. After getting the final confirmation from the artist, based on the proof prints, we will start the production prints. NB! The print settings, together with proof prints and files, will be archived at Artproof as a complimentary service. Once the final tonality and size of the image has been agreed, we finalise the specifications of framing. It is done on-the-spot, or a finishing test (painted, stained, oiled, waxed frame profile) is sent to you for your comments / approval. If necessary, we’ll make a new finishing test of the frame profile and repeat the process of consulting and testing until we’ve met your expectations. The production of the frames will commence. The mounting and building of the frames continues in parallel with the printing. This enables us to reduce the total production time of exhibitions by half, compared to the workflow if different companies are used. The average production time for one exhibition at Artproof labs is 1-2 weeks*. NB! In case the prints are made at Artproof, the file, proof print and related settings are archived as a complimentary service (including the finished frame profile). This allows us to repeat the print in the future, if needed. If a new print is ordered at a later date, the archived proof will be used to verify that the new print is an exact match with the old one. The proof print is accompanied with a fragment of the finished frame profile in the archive folder. Depending on the method of shipment (which is agreed on with you beforehand) the images will be packaged. If they are to be delivered without a crate then a special 2-layer bubble-wrap and corner / edge protectors are used. If the image will be shipped with a crate then a made to measure crate will be built . The exhibition is shipped with a transportation service best suited for the specified location and time. A tracking number is usually provided to you or the gallery that’s due to receive the shipment. Artproof’s logistics team will make needed arrangements and be there to help should you have any questions. Although the average production time for one exhibition at Artproof labs is 1-2 weeks we strongly recommend to approach us at least 6-8 weeks before the planned opening. This ensures that there is enough time for testing different options and shipping.